To bring good luck on their wedding day, many brides adhere to the traditional English rhyme, "Something old, something new, something borrowed, something blue." 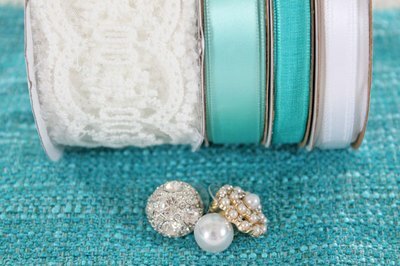 Wearing a blue garter on one's wedding day is thought to bring good fortune, love, fidelity and purity. 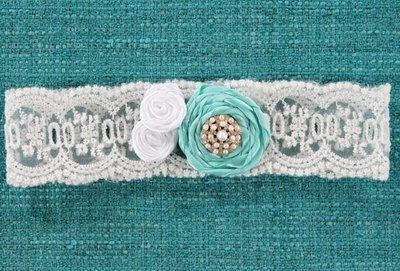 A handmade lace garter with some blue fabric flowers makes a lovely and lucky gift for any new bride in your life. Measure the circumference of the bride's thigh and subtract 1 inch. 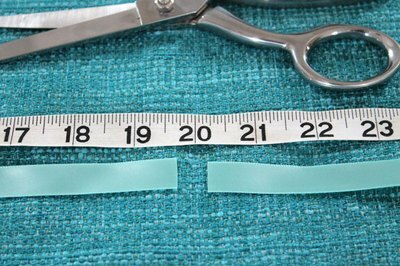 Use this measurement to cut a strip of stretch lace ribbon with a pair of sharp scissors. Overlap 1/4 inch of the ends of the lace and pin. 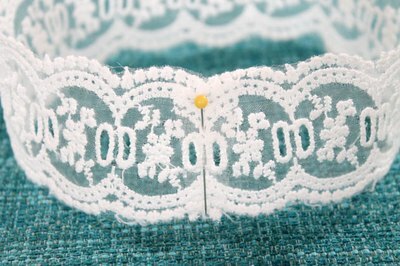 Sew in place using a universal 9/65 lace needle and a zigzag stitch. Remove the pin as you sew. Cut a piece of blue satin ribbon that is 20 inches long. This will make a small flower. If you'd like to make a larger flower, cut a 30-inch piece of satin ribbon. 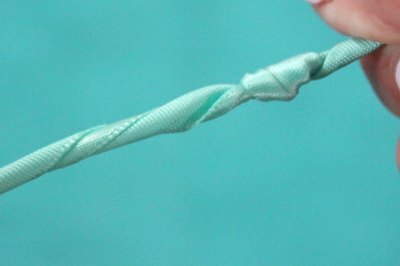 Hold the knotted end in one hand and start to twist the ribbon with the other hand. 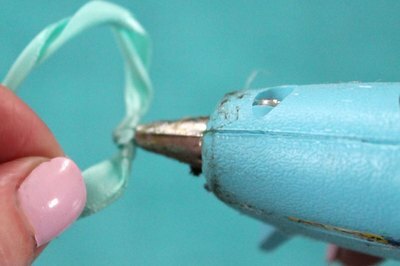 After you've twisted about an inch of ribbon, use a hot glue gun to place a dot of glue on the side of the knot. Roll the twisted ribbon over the dot of glue to secure in place. Continue to twist the ribbon and roll it around itself, placing a dot of hot glue every inch or so until the flower gets to your desired size. 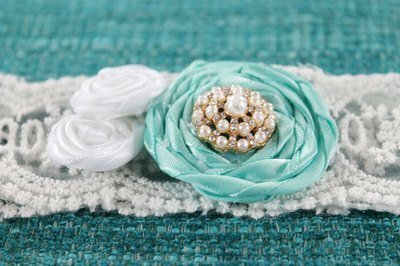 Tuck the end of the ribbon under the flower and secure the end in place with hot glue. Attach the jewel to the center of the flower with hot glue. Tip: You could make a few ribbon flowers in varying sizes and colors. 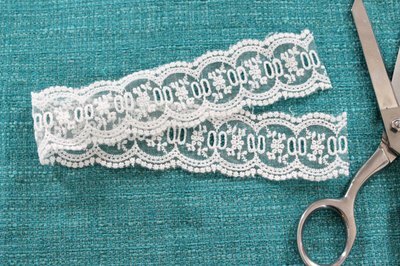 Hand stitch the flowers onto the lace garter. 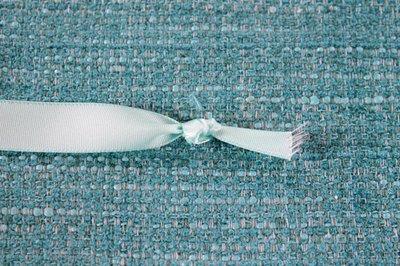 Then, wrap your handmade garter in some beautiful blue paper and bring some good fortune to a lucky bride in your life.